Minority Rights Group International (MRG) is concerned by the deliberate targeting of indigenous women and children by armed groups in Baringo County, Kenya. Recent attacks by armed groups have systematically targeted indigenous women and children. Seven indigenous children and two indigenous women were killed in a recent incident at a school where they had taken shelter. MRG’s contacts within the indigenous Endorois community report that at least two Endorois women have also been badly wounded in attacks, and many have been displaced. In March 2017, the Kenya National Human Rights Commission estimated that the conflict in Baringo County had led to at least 10,000 displaced. Statistics are hard to compile, as indigenous communities often live in scattered and remote locations, and displacement has disrupted communications. MRG fears that the actual casualty figures among the indigenous women and children of Baringo are far higher. ‘It easy for the media to focus their attention on general issues of the conflict in Baringo, it is surprising that very little is known about the impact this insecurity is having on Endorois women and children. They have equally been killed, displaced and their property looted,’ said Christine Kandie, Programme Officer at the Endorois Welfare Council. Kandie recently testified at the UN Permanent Forum on Indigenous Issues in New York. The Endorois are semi-nomadic pastoralists who were evicted from their ancestral land in and around Lake Bogoria in Kenya’s Rift Valley in the 1970s, in order to pave the way for the creation of a national park. 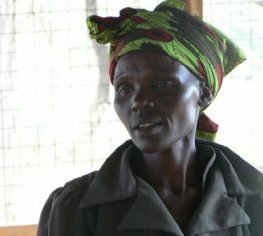 With support from MRG, the Endorois won a landmark decision before the African Commission on Human and Peoples’ Rights affirming their customary land rights in 2010. Sadly, seven years have passed and the Endorois are still waiting for proper implementation by the Kenyan government. Meanwhile, the current conflict is further dislocating the Endorois, moving many even further away from their customary lands and affecting their community unity. Women and children of the Tugen and IIchamus indigenous communities are also being targeted by the violence. Minority Rights Group International is the leading international human rights organization working to secure the rights of ethnic, religious and linguistic minorities and indigenous peoples. We work with more than 150 partners in over 50 countries. Kenya’s 2017 Election: what are political parties saying about marginalized communities? The Peoples under Threat ranking highlights countries most at risk of genocide and mass killing. The ranking is created by compiling data on the known antecedents to genocide or mass political killing. The Minority Voices Newsroom is an online multimedia library that allows members of minority and indigenous communities to upload, download and share their stories. Are you passionate about protecting the rights of minority and indigenous people worldwide? Check the Minority Rights Group jobs page for vacancies, internships and volunteering opportunities. Sign up to Minority rights Group International’s newsletter to stay up to date with the latest news and publications.